The morning of December 6, 1917, Railway Dispatcher Vincent Coleman went to work from his home on Russell Street in the neighbourhood of Halifax's North End known as Richmond. He left his wife Frances looking after their young two-year old daughter Eileen, dressed in a cheerful blue dress handmade by Frances. It was a short five blocks to his workplace at the Richmond railway station. He worked not in the grand brick passenger station on North Street but in the deceptively small wooden station in the middle of the Richmond rail yards. Working only a few feet from the harbour with its busy piers , his job was to control the massive rail traffic generated by the crowded wartime harbour of Halifax. He sent orders to the countless trains feeding freight into the ship filled wharves of North End Halifax as well as routing the heavy wartime passenger traffic passing into the North Street Station and the vital troop trains and hospital trains from the Pier 2 ocean liner terminal. 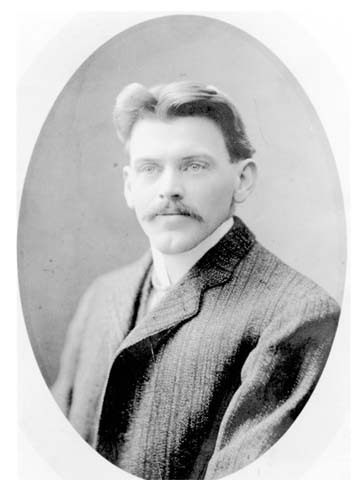 Coleman worked for what everyone in Halifax called the "Intercolonial Railway" or "ICR" even though it had been renamed "Canadian Government Railways" in 1916. As dispatcher, he was a rank above the ordinary telegraph operators in most stations. A few years previously he was commended for helping to stop a runaway train. He was also very active in his railway union. In his wallet that morning, tucked beside some raffle tickets for the Victory Bond drive, was a clipping about an upcoming union meeting in Montreal. 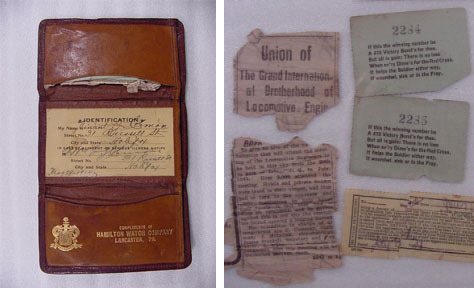 Coleman's wallet, raffle tickets and union meeting clipping. As Coleman relieved the night dispatcher at the telegraph, off in the distance there was a muffled crash, followed by a column of black smoke rising above the rows of parked freight cars in front of the station. The French munitions ship Mont-Blanc had caught fire after a collision. Suddenly a naval sailor burst through the door. He warned everyone that the burning Mont-Blanc was full of ammmunition and about to explode. The sailor had been sent ashore by one of the naval officers responding to the blaze, one of the few people who knew of her deadly cargo. Coleman started to leave with his boss, William Lovett, the chief clerk at Richmond but then Coleman turned back to use the telegraph key to send his famous message. Coleman's telegraph key, recovered from the wreckage of the station. Clearly Coleman knew the explosion was imminent and that he was staring death in the face. He even signed off with a telegraph shorthand for "Goodbye Boys". And then at 9:05 am, Mont-Blanc exploded. Pier 6 and the ship vanished in a column of flame. Rows of boxcars were vaporized while others were hurled through the air. Coleman's station, a mere 750 feet from the centre of the blast, disappeared. It was crushed by the blast and buried in debris from the railway yard as tidal waves rose from the harbour and roared back and forth across the Richmond yards. You can still see water stains in his wallet at the Maritime Museum of the Atlantic today. His watch speaks grimly of the violent forces which descended on Coleman as its crystal and hands are blown away and its back is pounded in as if by hammers. Coleman no doubt died instantly at his telegraph key. Pier 6 and the Richmond rail yards after the explosion. However the message sent by that telegraph key went out on the railway telegraph line and would have been heard by every station from Halifax to Truro: all along the line from Rockingham, Bedford, Windsor Junction, Elmsdale, Stewiacke and so to Truro. Each station agent would have quickly moved the station order boards, those semaphore blades you once saw mounted on the side of stations, dropping them from the vertical "All Clear" position to the horizontal "Stop!" position. Bang, bang, bang, all the way to Truro the order boards would drop bringing all Halifax bound trains to a halt as soon as they approached their next station. This is how rail traffic was controlled in 1917. It would be many decades before two-way radios were installed aboard trains. Did Coleman really stop Train No. 10 and save the 300 people aboard? The record is unclear. A very detailed account of what happened aboard Train No. 10 was gathered from interviews of passengers and crew by Archibald MacMechan in 1917 and published in Graham Metson's 1978 book The Halifax Explosion December 6, 1917. According to MacMechan, the train was past the point where it could be stopped because it had already passed the Rockingham station, the last station before Richmond. Fortunately, it was running a few minutes late and was far enough from the explosion so the blast inflicted only broken windows and minor injuries. "Conductor Gillespie Had a Marvelous Escape From Death—Conductor Gillespie, who went to Halifax on No. 10 Express on Thursday morning, arrived in Moncton this morning in charge of No. 9 Express from Halifax. Conductor Gillespie had a narrow escape from death. His train was running on time, but was held fifteen minutes by the dispatcher at Rockingham. He says, that the explosion blew the windows out of the train at Rockingham some 4 miles from Halifax. All the crew of No. 10 are safe." A relief train backs into the ruins of Richmond. While there may be debate whether Coleman actually stopped Train No. 10, that was his intention and he clearly halted all the other inbound freight and passenger trains. It is also very important to remember that Coleman's message had a second, arguably more important effect. He alerted the entire Intercolonial to this catastrophe. Otherwise the lines would just have gone dead and hours would have been wasted figuring out what was wrong in Halifax. Coleman's message, followed up an hour or so later by a more detailed call for help from a Halifax Intercolonial official, put an entire railways system into high gear and the Intercolonial sent six different relief trains to Halifax that day from Truro, Kentville, Amherst, New Glasgow and Moncton bringing firefighters, doctors, nurses, medical supplies and wrecking crew. This help, in the vital first hours was absolutely critical to the fate of for hundreds of lives as a snowstorm the next day slowed everything down. The American relief trains did not arrive until two days later. The rapid railway response allowed heavy equipment and construction crews to mobilize in Halifax with remarkable speed. 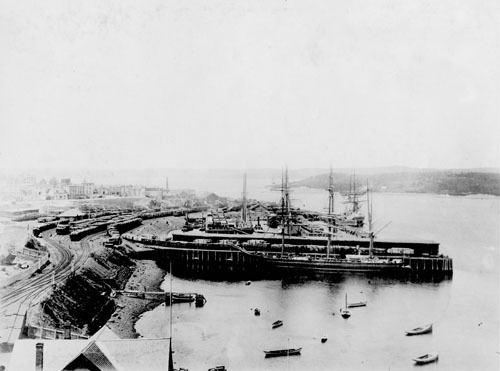 Within a week, the battered wartime port of Halifax was back in action, and trains rumbled through the ruins of Richmond bringing passengers to the repaired North End station and supplies to the cleared wharves of the harbour. The home that Vincent Coleman had left that morning was only 2000 feet from Ground Zero. The Coleman house was wrecked and then burned by the explosion. 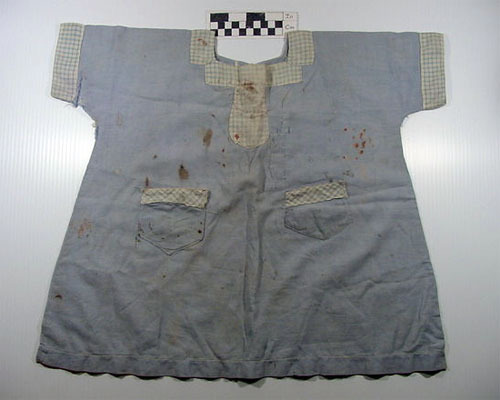 The kitchen sink crashed down on two year old Eileen Coleman, badly cutting her neck and leaving her little blue dress spattered with bloodstains that you can see to this day. Coleman's wife Frances suffered serious back injuries. 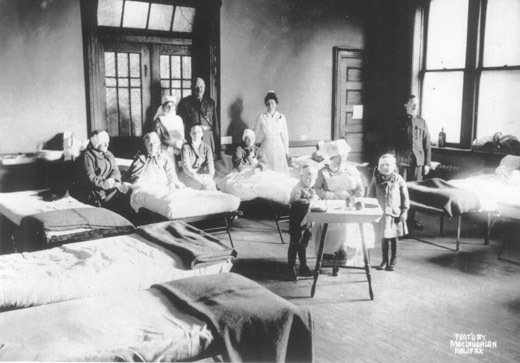 Her two older children Gerald and Eleanor rushed home from school to take their mother and sister to Gottigen Street where soldiers took them to the Camp Hill Hospital. Frances and all four of her children survived and recovered. A few days later, searchers found Vincent Coleman's body in the wreckage of the Richmond rail yards. Frances was presented with the telegraph key, the watch and the pen of her husband who was quickly becoming famous. Years later she would donate them to the Public Archives of Nova Scotia. They were transferred to the Maritime Museum of the Atlantic in 2005. The same year, the Coleman family donated Vincent's wallet and Eileen's dress. 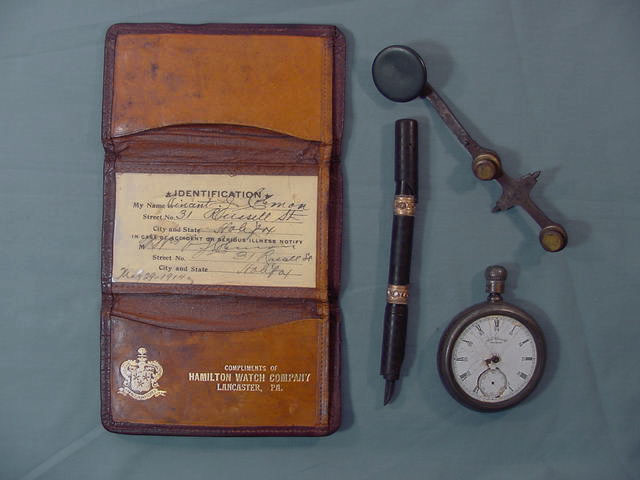 The Coleman artifacts form a special part of the Museum's permanent exhibt on the Halifax Explosion. Coleman's action and results were truly heroic. He stands with a number of heroes of the Halifax explosion such as Horatio Brennan, a heroic tugboat captain who died trying to pull Mont-Blanc away from the city. They represent the many heroes of that day, the firefighters, the soldiers, sailors and the many ordinary men and women across the city who rushed into burning and collapsing houses to save family, neighbours and strangers. Barron, Leon, retired Dominion Atlantic railway brakeman, telephone interview about station order boards and train crews. Flemming, David B. Explosion in Halifax Harbour: The Illustrated Account of a Disaster that Shook the World, (Halifax: Formac, 2004). Douglas N.W. Smith "The Railways and Canada's Greatest Disaster" Canadian Rail No. 431 (November - December 1992), 201-213. Joseph Scanlon, "The Magnificent Railways Rail Response to the 1917 Halifax Explosion" Canadian Rail No.461 (November- December 1997), 143-153. Graham Metson, The Halifax Explosion December 6, 1917, (McGraw-Hill Ryerson: 1978). Underwood, Jay, Built for War: Canada's Intercolonial, (Pickering, Ontario: Railfare Books, 1995), p. 150. Ware, Beverley. "Memory of a Hero" Chronicle Herald December 6, 2003, p3. You may reproduce Infos for personal and study purposes only. Please credit The Nova Scotia Museum, Department of Tourism and Culture. Images or text not to be reproduced for commercial purposes without permission from the Maritime Museum of the Atlantic. Contact webmaster with questions or comments regarding this page.